I found the video above on electric truck conversion on Youtube. Based on the View Counter, not a lot of people have seen it. It is a video walk through of a Chevy S10 pickup truck converted into a Pure Electric Vehicle. The conversion was done by a father and son duo, Chris and Phil Young. To generate torque, the electric truck was fitted with a Warp 9 electric motor. It uses 24 unit of 6V deep cycle battery (5 in the front and 19 in the back of the truck). This is one of the most comprehensively built electric truck that I have seen so far. It has everything! From the video, you know the electric truck owner has put a lot of love and passion into his vehicle. The video above shows if you have the time and dedication, you can convert a conventional pickup truck using an internal combustion engine (ICE) into a pure electric vehicle. Do you want to know how to save cost on the electric car battery bank? 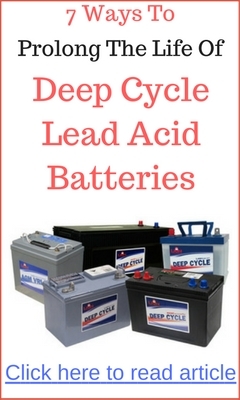 One option is to use reconditioned deep cycle batteries. 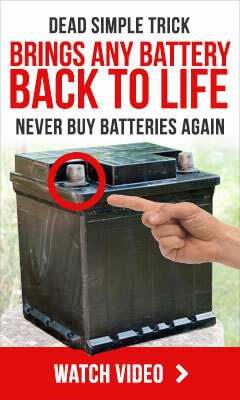 To learn more on reviving weak battery, check out the EZ Battery Reconditioning program. This is exacttly what I have been looking for…thanks very much. I am in Victoria BC Canada and am nuts over E vehicles. I am a retired plumber and have an 89 S10. Just in the planning stage at this point but really don’t have clue….but will find out thanks to your video. Anything else you can help with would be appreciated.